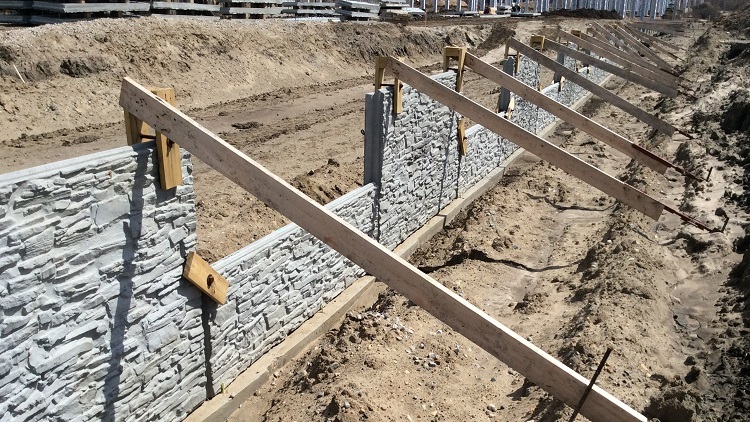 MSE Panel Retaining Walls are typically used to support large vehicular loading in applications consisting of new highways and bridges. The panels are wet-cast concrete designed to meet strict Department of Transportation (DOT) testing regulations. 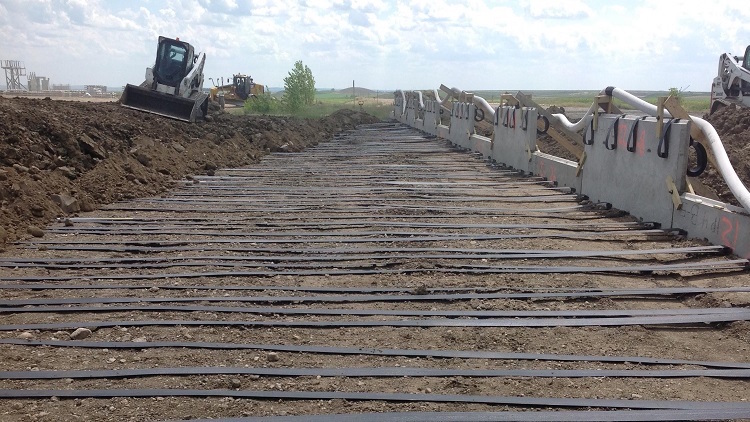 Each panel is designed with geogrid reinforcing straps attached to the back that will be compacted over with structural fill soil typically with the use of a large ride-on roller. Every project goes through a demanding design and submittal process to ensure the construction procedures and materials are in complete conformance with the local DOT. These walls are selected for particular applications because of their performance, but different panels can be selected with integrated facing textures to meet high quality aesthetics.